How do we use the petroleum? Home/News/How do we use the petroleum? To be of use to us, the crude oil must be “fractionated” into its various hydrocarbons. This is done at the refinery. Oil can be used in many different products, and this is because of its composition of many different hydrocarbons of different sizes, which are individually useful in different ways due to their different properties. 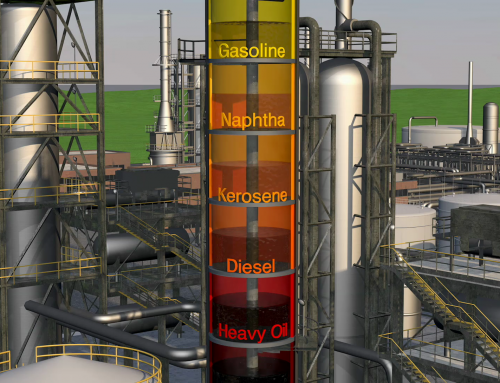 The purpose of a refinery is to separate and purify these different components. 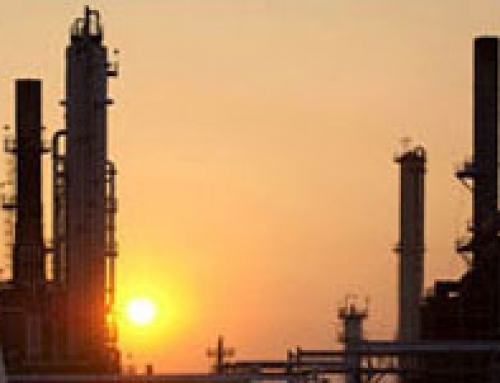 Most refinery products can be grouped into three classes: Light distillates (liquefied petroleum gas, naphtha, and gasoline), middle distillates (kerosene and diesel), and heavy distillates (fuel oil, lubricating oil, waxes, and tar). While all of these products are familiar to consumers, some of them may have gained fame under their refined forms. For instance, naphtha is the primary feedstock for producing a high octane gasoline component and also is commonly used as cleaning solvent, and kerosene is the main ingredient in many jet fuels. In a refinery, components are primarily separated using “fractional distillation”. After being sent through a furnace, the crude petroleum enters a fractionating column, where the products condense at different temperatures within the column, so that the lighter components separate out at the top of the column (they have lower boiling points than heavier ones) and the heavier ones fall towards the bottom. Because this process occurs at atmospheric pressure, it may be called atmospheric distillation. Some of the heavier components that are difficult to separate may then undergo vacuum distillation (fractional distillation in a vacuum) for further separation. The heaviest components are then commonly “cracked” (undergoing catagenesis) to form lighter hydrocarbons, which may be more useful. In the same manner that natural mineral catalysts help to transform kerogen to crude oil through the process of catagenesis, metal catalysts can help transform large hydrocarbons into smaller ones. The modern form of “catalytic cracking” utilizes hydrogen as catalyst, and is thus termed “hydrocracking”. 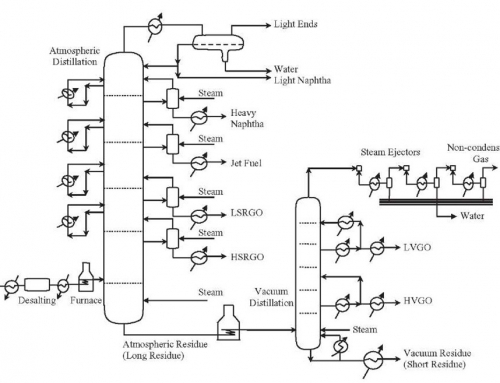 This is a primary process used in modern petroleum refining to form more valuable lighter fuels from heavier ones. All of the products then undergo further refinement in different units that produce the desired products. Alkanes are saturated hydrocarbons with between 5 and 40 carbon atoms per molecule which contain only hydrogen and carbon. The light distillates range in molecular composition from pentane (5 carbons: C5H12) to octane (8 carbons: C8H18). Middle distillates range from nonane (9 carbons: C9H20) to hexadecane (16 carbons: C16H34) while anything heavier is termed a heavy distillate. Hydrocarbons that are lighter than pentane are considered natural gas or natural gas liquids (liquefied petroleum gas). Desalting removes salt from crude oil before entering fractional distillation. Desulfurization removes sulfur from compounds, and several methods are possible. Hydrodesulfurization is the typical method, and uses hydrogen to extract the sulfur. This occurs after distillation. 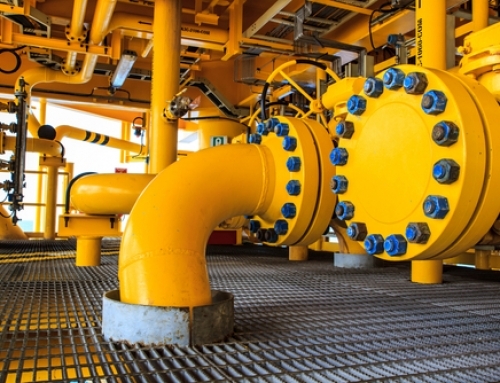 Fluid catalytic cracking (FCC) cracks heavy oils into diesel and gasoline. Uses a hot fluid catalyst. A catalytic reformer converts naphtha into a higher octane form, which has a higher content of aromatics, olefins, and cyclic hydrocarbons. 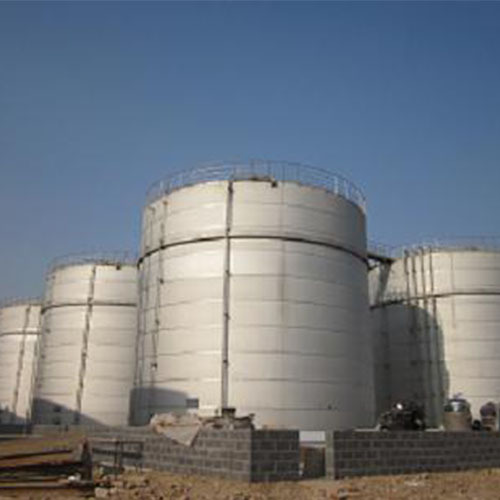 Hydrogen is a byproduct, and may be recycled and used in the naphtha hydrotreater. 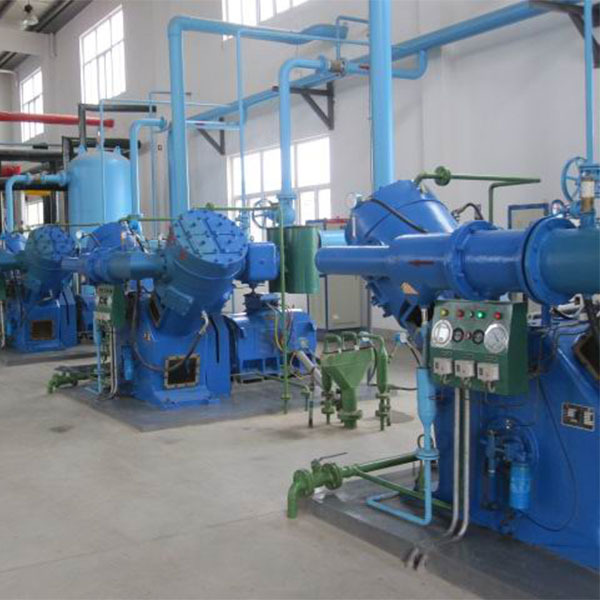 Steam reforming is a method of producing hydrogen from hydrocarbons, which may then be used in other processes. Solvent dewaxing removes heavy wax constituents from the vacuum distillation products.